My name is Ngoc Han, 1.57 meter tall, and 45 kg weight. I was born on 1987. I live by myself in Ho Chi Minh city of Vietnam. I am a worker. My birth place is in Soc Trang province. I like to find a life partner to share my life with. He need to respect me and that’s all I need. Thanks. 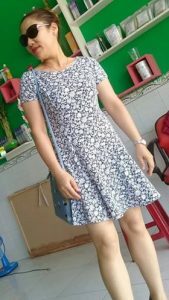 Hi guys, I am Nguyen Thi Thu Thuy. I was born in 1973. I am 45 years old. I am 1.56 meter in height and 55 kg in weight. I am a good Vietnamese woman who has never been married and no kids. I was born in Ha Noi city of NOrth Vietnam and now I work in HO chi minh city of South Vietnam. I am a chef cook at a Korean restaurant. I am looking for a man who can grow old with me. We can be friendship, pen pal and relationship. Drop me some words if you like my profile. Iam a happy person with great sense of humor Affection Romantic Trustful Honest Respects good Communication. Iam looking for the last Love of my life to Love and be Loved, enjoy life in Happiness also supported each other when the hard time too. What wrong with high educated man marries a nails tech? I dont see nothing wrong with that. I know some nails techs are smarter than high educated men. You are so wrong. Hey I’m not Viet. I am interested in Viet Kieu for serious dating possibly more. Men 40 plus. I am Pacific Islander, Other Asian and African American decent. I grew up Asian culturally. Let’s talk! C’mon dude. You think a software engineer is highly educated? And a nails technician is considered low and uneducated? Are you retarded? A job is a job and every confident man knows that once he set his heart to love someone, he loves her for who she is. Granted most nails technicians don’t have a college degree but again, majority of the people in this profession are of the older generation. They came to the States with many disadvantages (too late to go back to school, takes too long to learn English, ect.) thus, doing nails is the quickest way to earn a living in order to survive. I have a Master degree, teaching at one of the largest university in the States, I run my own company, and my full time job is a Director for an IT department, yet i don’t consider myself highly educated and look down on people just because of their professions. Only a low self-esteem man would settle for a partner then bitching about how unhappy he is. I am about to write this and found your comment, I am totally agreed with you. so sánh kh?p khi?ng ?úng la th?ng retarded. Well said! Totally agreed with you, Dangster! Have you since found your dream Vietnamese girl yet Anh? I am a Vietnamese man in my early forties.. 41 to be exact. My family came to America as refugees in 1980. Growing up in America can be quite confusing at times, due to the balancing of both Vietnamese and American culture. My life in America have lead me astray from my roots at an early age up to my mid 30’s. I have been in 3 relationships up til present day. My first relationship was with a Hispanic woman. My second relationship was with a Thai woman. My most recent relationship was with a Korean woman. After all those relationship experience, I realize that going with my own race (and religion) would have been the absolute best option. However, life does not always work out like the way we want. 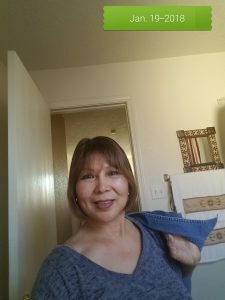 After my second relationship, with the Thai lady, I realize that although the religious connection was there, the culture and race aspect was not in tune. I was all willing to completely embrace Vietnamese women. However, fate would lead me to a wonderful educated Korean beauty that I had a relationship with for 3 years. Although I absolutely love Korean culture I did not want to lose my identity as a Vietnamese man. Plus, we also had a major disconnection relating to our religion. She was from a Baptist Christian background and I am Buddhist. As I was taught within my religious values, open-mindedness and non discrimination against other religions are some of the core religious practices. However, these values are very much different within her faith. The other thing that ultimately lead to a mutual acceptance between us was the fact that changes of characteristics and practices seem to mostly fall on me. She was very demanding yet was not willing to change enough to a compromising level within the relationship. So ends my most recent relationship. As fortune would have it, I’m pretty blessed with the fact that most people would not be able to tell that I am 41 or even close. I am an educated man with a 4 years BS degree in Industrial Design. I have a great job and a stable life. I have a healthy and fit lifestyle that consist of healthy home cooking and consistent daily exercise. But I digress. I cannot speak for every Vietnamese American males in America when it comes to how I perceive having a relationship in this country. One of my biggest fear regarding returning to Vietnam to find a good Vietnamese wife is in regards to all the horror stories of Vietnamese American men marrying women from Vietnam and then their relationship ends up in divorce due to various circumstances including prior establishment of relationship in Vietnam with another person, lack of interest in American lifestyle and even lost of interest from the woman driven by financial greed. All this is more than enough to scare any man to take his chances in America rather than waste any more of his lifetime with a woman who will eventually leave him. I have realize that throughout my dating experience, no matter how I look at it, I am not fully Vietnamese, even though I was born in Vietnam. Therefore, to marry a Vietnamese woman from Vietnam would more than likely create huge cultural conflicts within our lives together. Don’t get me wrong, I would absolutely love for the opportunity to meet and fall in love with a beautiful, respectful and well educated Vietnamese woman. However, regardless of where I find her, there needs to be a level of cultural tolerance, time and patience between us in order for everything to work out. Yes, that does sound very much like a fairy tale. 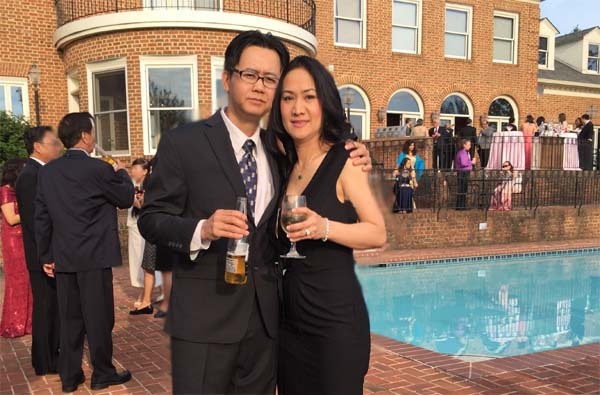 As a Vietnamese Man trying to find a good Vietnamese woman in America, it has been very difficult. Most of the time, the attractive ones are very high maintenance and are too Americanize to cherish Vietnamese cultural values. Some are very so called, “White Washed”. Yes indeed, it is absolutely difficult for a Vietnamese American man in this country. This is why I am still living everyday hoping to one day meet my dream Vietnamese woman. And so I continue looking around the corners of my eyes when I am out and about.. and life continues on. Oh come on man, Vietnamese men can find a good wife in the US, certainly. Only some poor and lazy Vietnamese guys can’t find a wife in America so they have to go back to marry single girls in Vietnam. That’s what I think.